Mexico’s President Enrique Peña Nieto and Alibaba Group Executive Chairman Jack Ma witness the signing of a Memorandum of Understanding between Alibaba Group and Mexican government to help Mexican small and medium-sized businesses reach China, the largest consumer market in the world. Hangzhou, China, September 6, 2017 – Today in a ceremony at Alibaba Group's headquarters, Alibaba Group’s Executive Chairman Jack Ma and Mexico’s President Enrique Peña Nieto witnessed the signing of a Memorandum of Understanding (MoU) designed to promote Mexican products and assist companies seeking to tap into the dynamic Chinese economy through e-commerce. 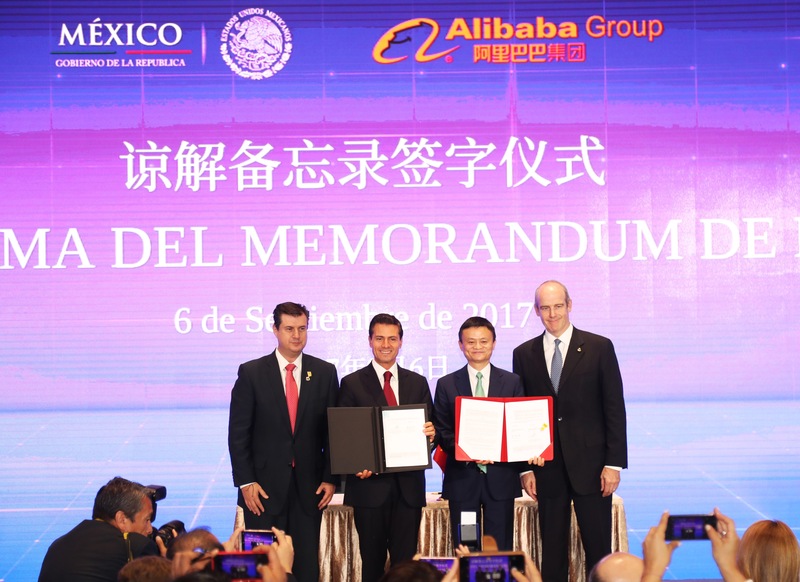 Alibaba Group President Mike Evans and Undersecretary of Industry and Commerce of the Ministry of Economy of Mexico José Rogelio Garza were the signatories of the MoU.